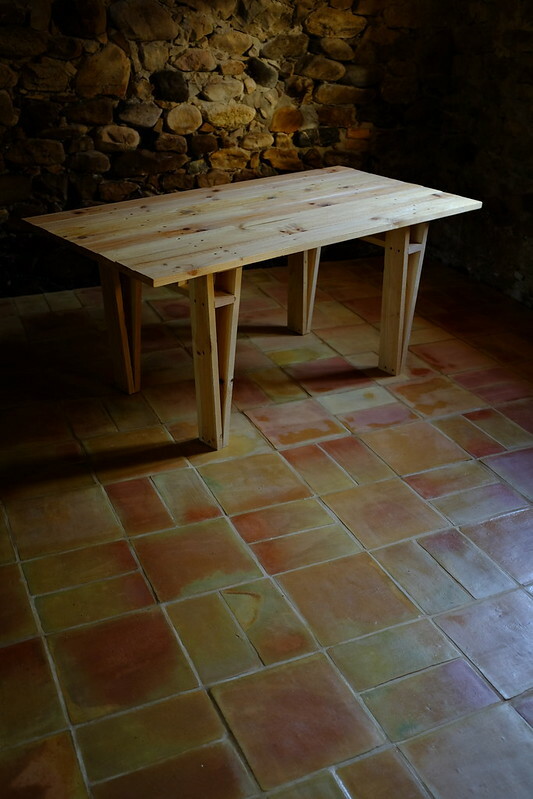 I designed, sourced and during the summer learnt to lay a floor of handmade terracotta tiles for an almacen in Riocaliente, Asturias. The project is something of an experiment with living off-grid, learning to live with less, and in a designated flood zone. 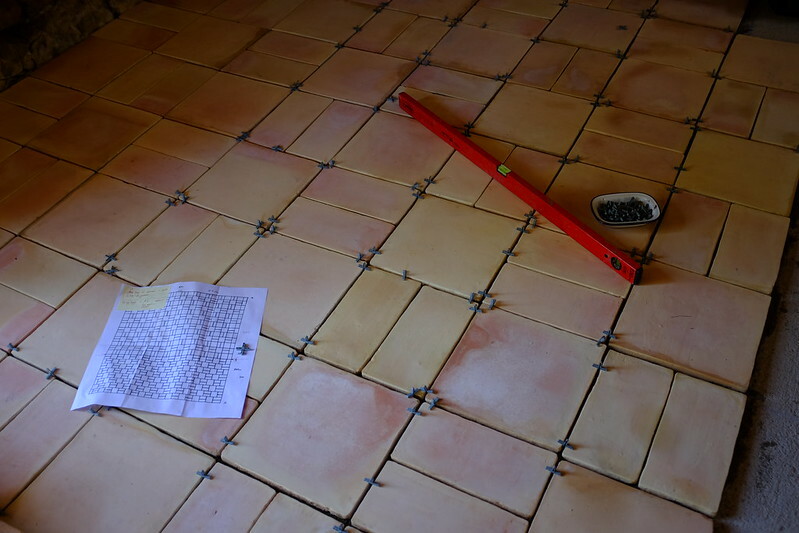 The tiles came from Blas Aleman in Murcia, and are everything from straw, orange, brick red and even green tinged in colour depending on the firing temperature and the minerals in the clay. They are beautifully irregular in shape (square is a relative value) and thickness, and some had already been trodden on by 'others'. A change in the tessellation designates two distinct spaces, a kitchen area and living space, and once grouted the tiles were sealed with linseed oil. 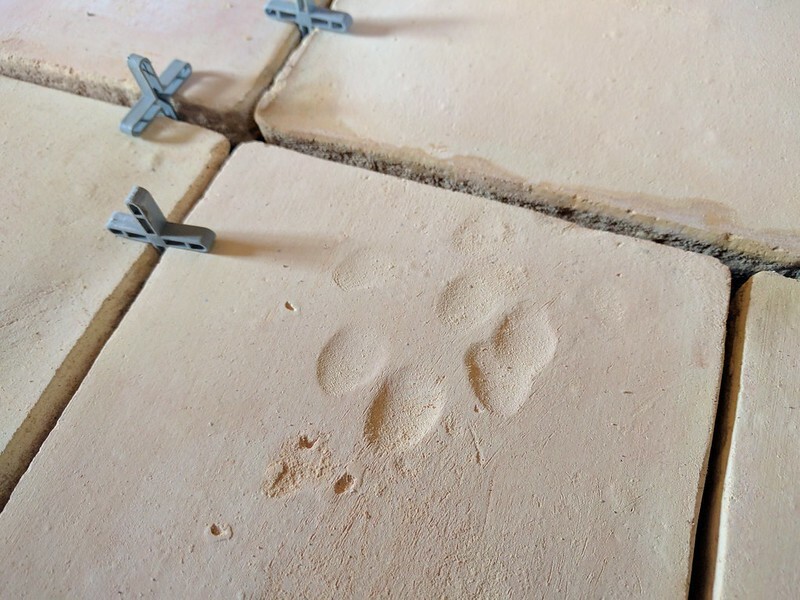 Everyone, but everyone advised against using terracotta tiles, although nothing else matched the warmth, practicality and beauty of the material; let's see what happens. Inspired by Enzo Mari and his autoprogettazione furniture series from 1974, at Easter I made a table from standard dimension rough-cut Galician pine. I hacked the design - cutting fancy angles for the cross rails and leg supports (I'm not sure Enzo would have approved) - but my hat is still well and truly tipped; the engineering -counter braced triangles- is brilliant. The table is rigid, sturdy and beautiful, if ever there's an earthquake I'll be under it, and, I only used hand tools. I've also made an upcycled garden version of the table from an old door, a lamp for my table, a bed base, some stools, a bamboo bicycle and some films about home too.